We specialize in providing comprehensive, family- centered medical care to patients from birth to young adulthood. Proudly serving the Decatur and surrounding community for over 23 years! Make sick appointments, complete pre-visit intake forms, Rx refills, send secure messages, forms, and much MORE! New Patients call 404-508-1177 to register. Block the Sun….for safe summer fun! 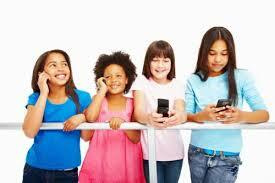 Young Kids With Cellphones May Be Particularly Vulnerable To Cyberbullying.